We say that sometimes we feel something that doesn't get to us but by this time we get the meaning of that feeling. Bollywood megastar Amitabh Bachchan tweeted something that doesn't have any meaning that time, but just after 2 hours of that tweet, it got a meaning and the meaning was quite shocking. Legendary actress Sridevi passed away. Now the followers of Big B feels that he already had an intuition that Bollywood is going to lose something priceless and that's why he had that feeling. It looks like Amitabh already had that intuition of Sridevi's death. Actually, around 1 AM Khuda Gawah star tweeted that he is having strange feelings. This is to notice that the whole family of Amitabh Bachchan went to attend the grand wedding of Anil Kapoor's sister's son Mohit Marwah and Abhishek alongside Jaya and Shweta attended this wedding. Sridevi always has believed to close to Amitabh Bachchan. On the other hand, it is known that Amitabh is like the most senior and respected person of the Bollywood family and in India, it says that the elder person always gets intuitions of bad and good feelings. However, the tweet of Amitabh was for something but it got a meaning when one of her close friend and actress Sridevi died. 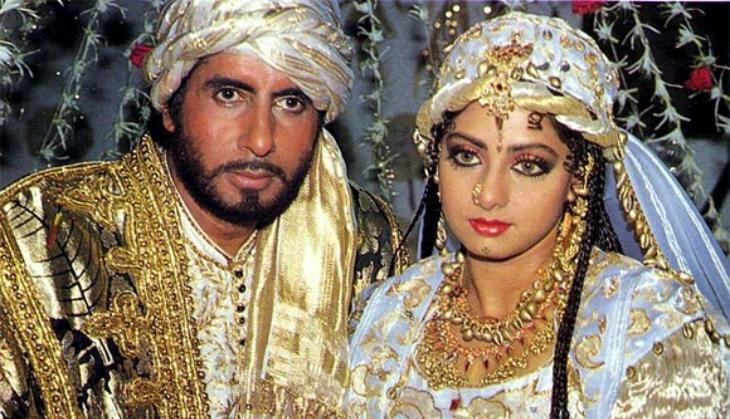 Bollywood veteran actors Amitabh Bachchan and Sridevi worked in together in quite a few films like Khuda Gawah, Aakhree Rasta, Inquilaab, and English Vinglish.